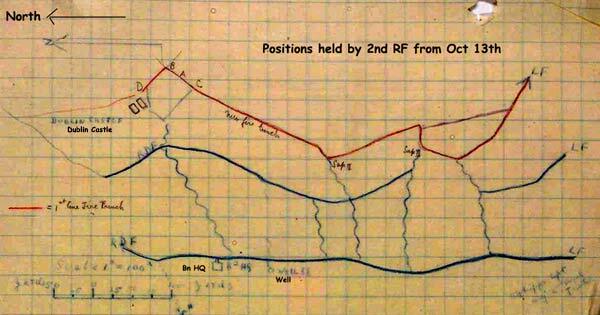 Putative position of Dublin Castle given by VBeach on "Great War Forum"
A report of 18 Oct 1915 in 86th Brigade War Diary states "I submit the following report in connection with the occupation of the two houses now known as Dublin Castle and the line of ditch to the south of them. 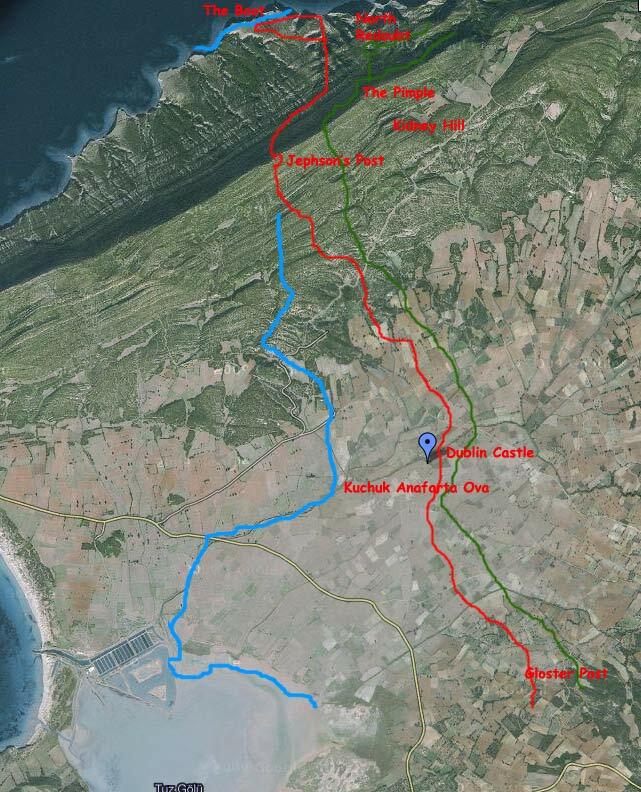 When the Brigade took over the line at present held on 1st/2nd October the two houses were then about 80ft east of the firing line, were occupied by a post of 3 men, access only being obtainable by night. 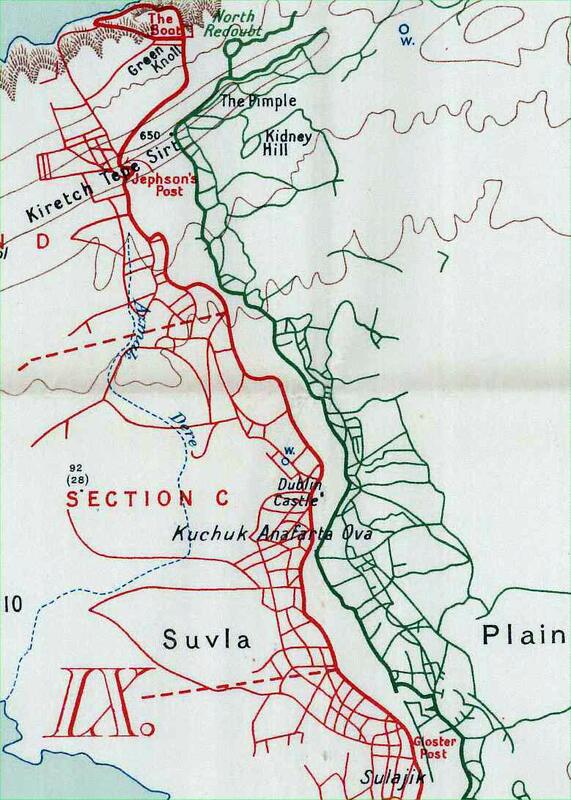 Immediately on taking over, the garrison was increased to 12 men under an officer, and steps were taken to place the houses in a state of defence. At the same time a comunication trench to connect the houses with the firing line was started. 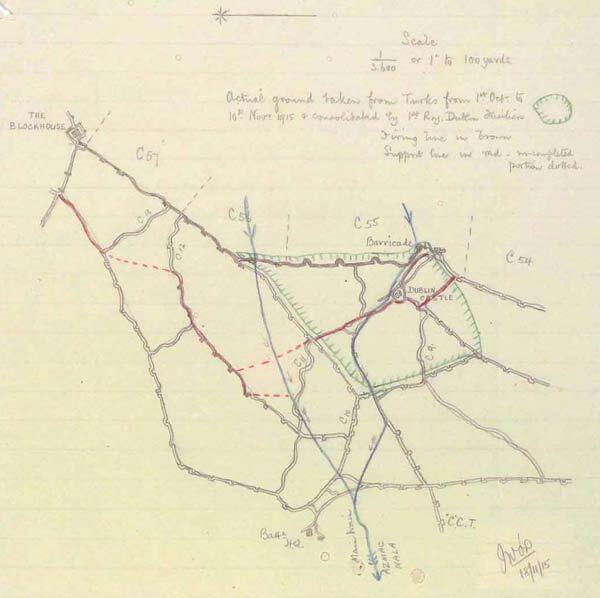 The reconnoitrerining of the route and the covering of the work gave scope for some fine displays of enterprise by officers and men of 1st Royal Dublin Fusiliers. 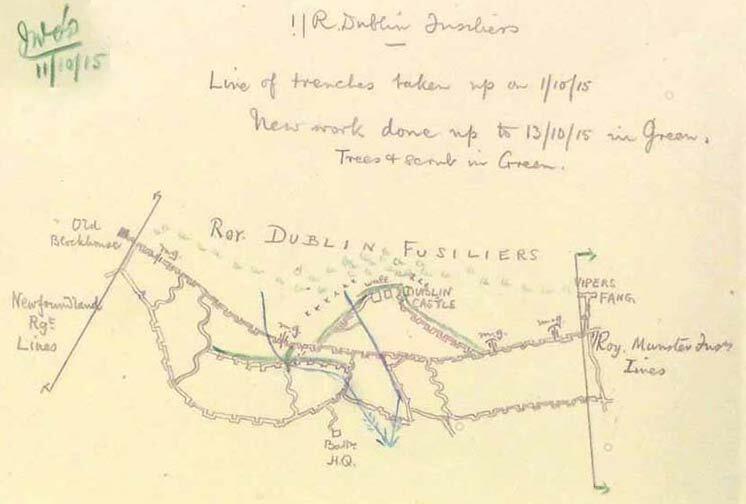 7 Oct 1/RDF War Diary The Divisional General (de L) visited the blockhouse at 10.30am and said the work done was splendid, and decided to call the blockhouse Dublin Castle.